The Herve Collection by Open Air Lifestyles, LLC is a triumph in sumptuous comfort on a grand scale. 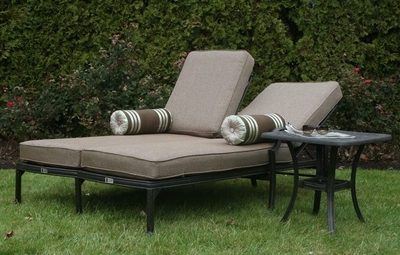 Inspired by neoclassical architecture, the clean, sophisticated style will complement any open-air setting. Herve is impressively estate sized and will transform any open-air space into a private resort. Lounge comes with Simone cushion color. End table not included.